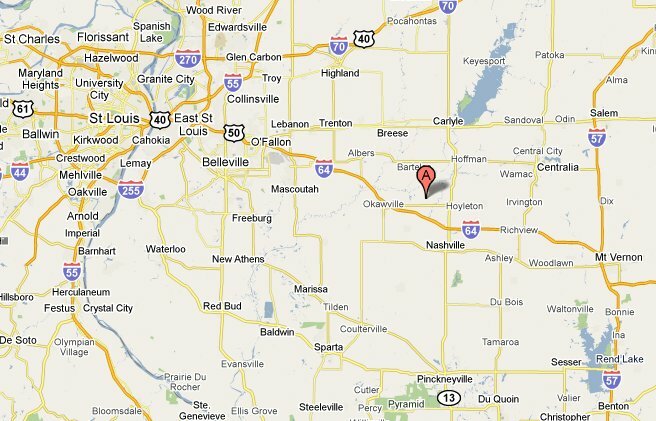 The latitude of Covington is 38.439N. The longitude is -89.422W. The population, at the time of the 2000 census, was 412. This road is one of the next earliest surveyed roads shown by the records. The road follows the Kaskaskia and Belleville road to the village of Florence, thence in a northeasterly direction, passing through what is known as ?ely's Prairie and Hill Prairie, passing near the town of Marissa in St. Clair county; thence to Covington, Washington county. This road has been abandoned for years and only old traces can be found and seen when passed through Randolph county and no such a road is regarded or ? the Kaskaskia and Covington road. This road was surveyed by Judge Thompson in the year 1819. This road was also resurveyed and platted by Judge James Thompson in the year 1831.